Dee & Sarah's home in Oxford Seen 1991 . Cowley Road Site . Oxford . 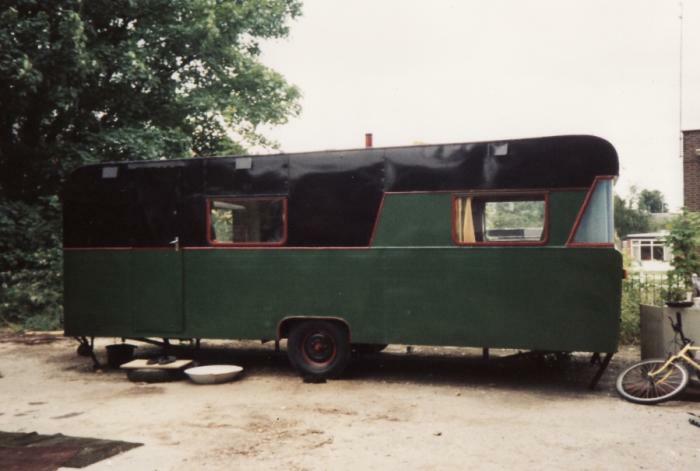 What make was this trailer ? . Photo = Sue Collins .